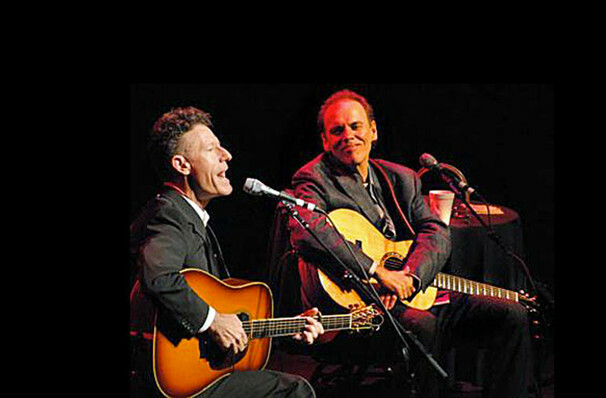 Why See Lyle Lovett & John Hiatt? 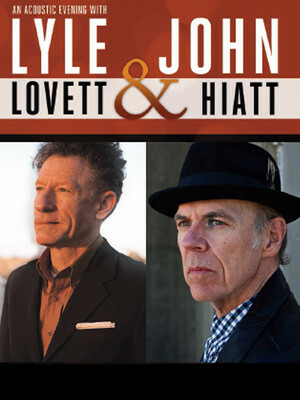 Lyle Lovett & John Hiatt are on tour together! Longtime friends and frequent collaborators Lyle Lovett and John Hiatt join forces for an intimate acoustic evening that will showcase songs from both artists. Each has carved out a career defined by their style of songwriting and understated relationship with fame. In the tradition of the Great American Songwriters, Lovett and Hiatt break down the barriers of country, rock and jazz to form Americana-tinged tales of existential upheavals and emotional truths. While they share much, these talented musos also put their own unique stamps on their art form. Lovett is revered for his witty wordplay, husky baritone vocals and an intrepid creative spirit that can never be pinned down by just one genre. Hiatt has more than just a knack for story-telling and his conversational vocal delivery belies a dark and intelligent humour. Together on stage, these two are evenly matched! Sound good to you? Share this page on social media and let your friends know about Lyle Lovett & John Hiatt at Veterans Memorial Auditorium. Please note: The term Veterans Memorial Auditorium and/or Lyle Lovett & John Hiatt as well as all associated graphics, logos, and/or other trademarks, tradenames or copyrights are the property of the Veterans Memorial Auditorium and/or Lyle Lovett & John Hiatt and are used herein for factual descriptive purposes only. We are in no way associated with or authorized by the Veterans Memorial Auditorium and/or Lyle Lovett & John Hiatt and neither that entity nor any of its affiliates have licensed or endorsed us to sell tickets, goods and or services in conjunction with their events.